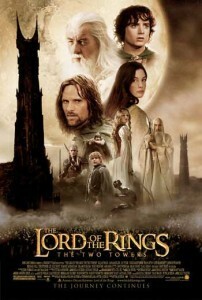 Time Magazine recently published an article entitled Lure of the Rings commenting on the sudden explosion of popularity of “The Lord of the Rings” in the new millennium. Although Tolkien’s books have always had a strong following, Time theorized that the increased popularity of fantasy in the media is due to our longing for a simpler time, when everything was black and white, and “good guys” could be easily distinguished from “bad guys.” In the end, the Time article was mildly critical of anyone who was lulled into believing that life could be as simple as it was in Middle Earth. Although the story of “The Lord of the Rings” may seem simple on its surface, there is, in fact, a great deal of complexity in the story. The Ring of Power, which is at the heart of the story’s conflict, has an effect on every character who comes into contact with it. Each of them is tempted by the great magic which the Ring represents, although whether that temptation comes from the Ring or from within the characters themselves is never made clear. The implication, however, is that even the most virtuous person is vulnerable to temptation. The Ring brings out all that is the opposite of chivalry — cowardice, greed and vanity. Perhaps Tolkien was making a statement about human nature. If so, it was a statement that would have been quite familiar to the knights of the Middle Ages who were struggling to uphold the Code of Chivalry: None of us should take virtue for granted. We must be ever vigilant against the enemies of chivalry, and the greatest of those enemies lives within our own hearts. It is interesting to note that, throughout the ages, critics have also claimed that the Code of Chivalry is simplistic and idealistic. But the “simple” virtues of the knightly code, like the “simple” story of “The Lord of the Rings,” conceal a deeper complexity which gives both chivalry and Tolkien a newfound relevance in the world of the 21st century.